Also referred to as trade fairs, expos, or trade shows, trade exhibitions are events organized so that corporations in a particular industry can display and establish their most current products and services, get in touch with customers and industry partners, study activities of competitors, and assess their recent opportunities and market trends. The experience of a trade show booth design is a hectic one, whether you are there as an attendee as a host or a trader. As a host, not only do you have to cope with the minefield that is exhibition organization, design, administration and preparation, but you also have to be a little psychic. Thinking in sync with your attendees is integral if you are to have a successful trade show, but it is not always easy. First things first, trade fair are usually very large-scale, which means dealing with different mindsets, different expectations want needs and preferences. Even though you cannot go out satisfying every attendee of your exhibition, knowing the various possible mindsets that you might come across is always a plus. Listed below are six types of attendees that you can expect to see in an exhibition. Possibly the simplest attendee type to understand is the shopper. These people are the ones who shop till they drop. There may be particular things that they are looking for, or they may merely be there just to get experience. If they are indeed looking for something specific, something that you do not sell, the trick is to tempt them into checking out your modular exhibit through your innovative exhibition design. This attendee is there to see what is being offered. They usually network, shore up current relationships, and try to make new ones. You will most probably find them giving away business cards, hanging around at post-show dinner parties, and other posh soirees. You can get in touch with such attendees by offering them well-designed business cards, and also by showing interest in their own business. These people are there just for the experience. 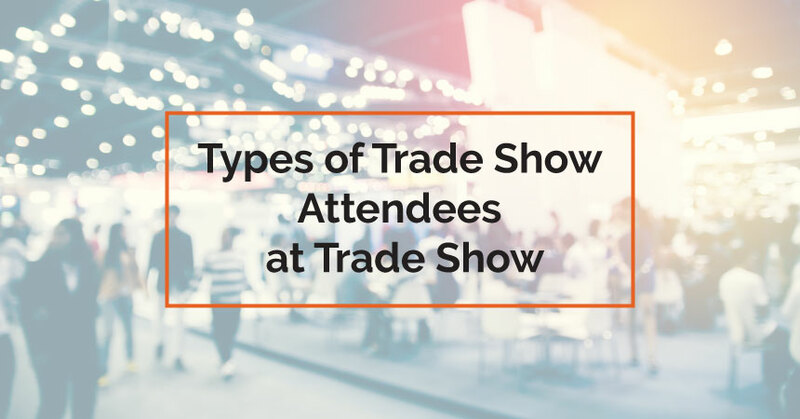 They travel and explore the trade show exhibit’s atmosphere, all the while stopping at each nook and cranny, and curiously following all the gossip to make sure they do not miss a single beat. Surveyors like to dig new and unique things, so make sure your modular exhibit stand has something enigmatic and special to offer. Attendees like these are mainly focused on gathering the collectibles from a trade show. They collect bookmarks, key chains, pens, and hoard bags, and are suckers for anything that is free. They will plunder each stall of freebies and return with a bunch of stuff. Do not just brush these people off as a nuisance. Remember that pirates can be very profitable for your business in the long-run if they like what they see and enjoy your free sample, so make sure to invest nicely in freebies. This type of attendee craves nothing more than knowledge, and to expand their present skills set. To appeal to this visitor, you will need to give something that is news to them, something that will preferably improve their experience in that field by enhancing their productivity, increasing their profits, or streamlining a specific procedure. Keep in mind that scholars see exhibits as a great opportunity to learn, so make sure you give them something to remember. In simpler words, teach them something. The judge is a blunt, no-nonsense person who will take a tour of the entire trade exhibition and carefully listen to all the vendors to explain their superiority. After all the evidence has been heard and collected, the judge will weigh the facts, and the pros and cons, and deliver a final verdict. If you present your case right, you might even succeed in securing a new client. The key to holding a successful trade show exhibit lies in appealing to your attendees, some of which will eventually turn into loyal clients. By understanding the mindset of these basic types of attendees, you will hopefully be able to make the best out of your marketing opportunity.